I think there are countless Alice Cooper compilations and live-records out there, but just a few of them do justice to the master. The most impressive live document to date is the "Theater Of Death" - show from Hammersmith. 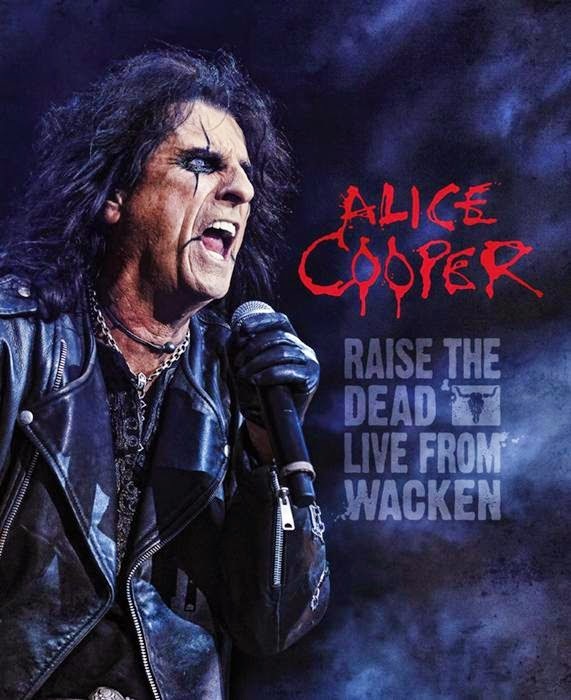 Since Alice lets us wait for a new studio album for three years now another live record hit the stores these days: Alice live from Wacken during his Raise The Dead Tour in 2013. I saw Alice Cooper last year with his "Raise The Dead" show. I think it was two days after Wacken and as you might know Alice plays always the same set during one tour, so I could repeat all the things I already said in my live-report, which you can read HERE! 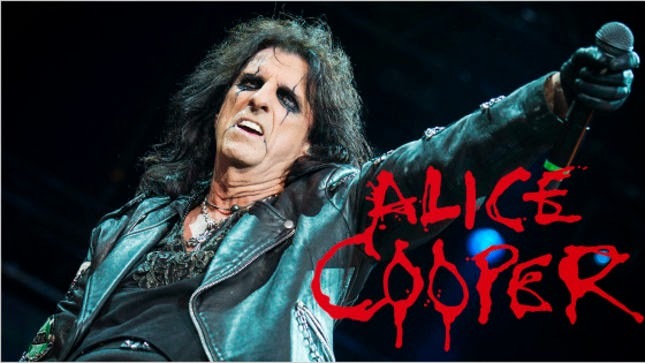 So you already know that the show itself is pretty cool with all these theatralic elements Alice Cooper is known for, I don't want to discuss this over and over again, so I just say something about Alice's performance itself and the Blu-Ray. First of all I really appreciate that YOU have the choice which version of the album you'd like to buy. There is a three-disc digipack that offers two CD's with the whole concert and a DVD with 22 songs. You also get this package as a Blu-Ray in an amaray case, which is pretty cool because I want to enjoy a concert in the best possible sound and HD picture. Yeah and if you are an Alice die-hard fan you can also order a boxset on Amazon, that features the concert also on Vinyl! This is pure fan-service. The only weird thing is the fact that two songs are missing on the Blu-Ray/DVD. Why they don't put the whole concert on this disc, too? There is enough space. The good thing is that these two tracks are just cover songs, so this shouldn't annoy you that much. Like I already mentioned to shorten some things I won't discuss the show so much, because it's nearly the same experience I had in Lichtenfels. Also in Wacken the band did an amazing job and it is pure fun to see the performance on an HD TV. I rarely heard a band that plays so perfectly. Alice himself sounds a little bit weaker than on the "Theater Of Death" Blu-Ray. Not every tone hits the spot, but this don't change the fact that these 90 minutes bring pure Rock'n'Roll entertainment into your living room. The HD picture is crystal clear without any noise or artifacts. Same goes to the sound. What an breathtaking wall of sound! You can choose between 5.1. Surround or 2.0 Stereo. If you have a good Surround System you truly feel as if you are part of the audience in Wacken. It is a great feeling and much fun to see Alice perform in front of 80.000 people on the largest Heavy Metal festival in the world. So the live-feeling is captured and transported very well and this is the most important thing when you are watching a concert at home. Also the setlist is perfect, because it unites the best songs from every era - personally I love "House Of Fire", "Hey Stoopid" and "He's Back (The Man Behind The Mask)" and they are all on this disc. The concert leaves you hungry for more and I can't wait to see Alice live again someday. And if that wasn't enough the Blu-Ray/DVD comes along with a 20 minute long Interview with the master himself and a booklet with many cool pictures. Some more backstage impressions would have been great, but this is nagging on a very high level and maybe such a "Making-Of" would destroy the magic behind the character Alice Cooper for some fans.